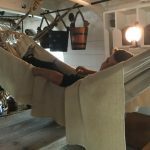 Would you know how to survive in the slums of Portsmouth’s sailortown? 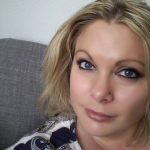 Do you know a ‘Dockyard Tortoise’ from a ‘Crocadillapig’? 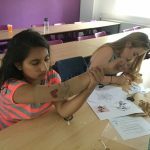 In the sweltering heat of late July a lucky group of participants took part in our specially-designed youth outreach workshop, ‘Sickly Slums and Sailortowns.’ The event was coordinated by the University of Portsmouth’s UP for Uni team, Port Towns and Urban Cultures and HMS Warrior 1860. The workshop aimed to pique the interest of school-age children and introduce them to the lives and histories of port town natives. The participants had an action-packed day. 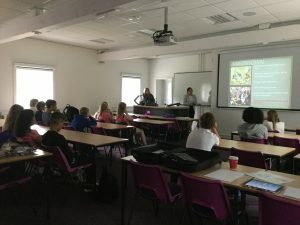 They were treated to some gruesome facts about ‘sailortown’ and the slums before forming into teams to test their knowledge on the day-to-day life in Portsea, one Portsmouth’s most notorious living areas during the 19th and early 20th centuries. For example, did you know that in Portsea’s notorious ‘Squeeze Gut Alley’ 116 residents had to share one toilet?! After the ‘Sickly Slums’ quiz, our teams were introduced to sailor slang, or ‘Jackspeak’, and were asked to match up the definitions of a few choice words which could be heard by the contemporaries walking down Queen Street. 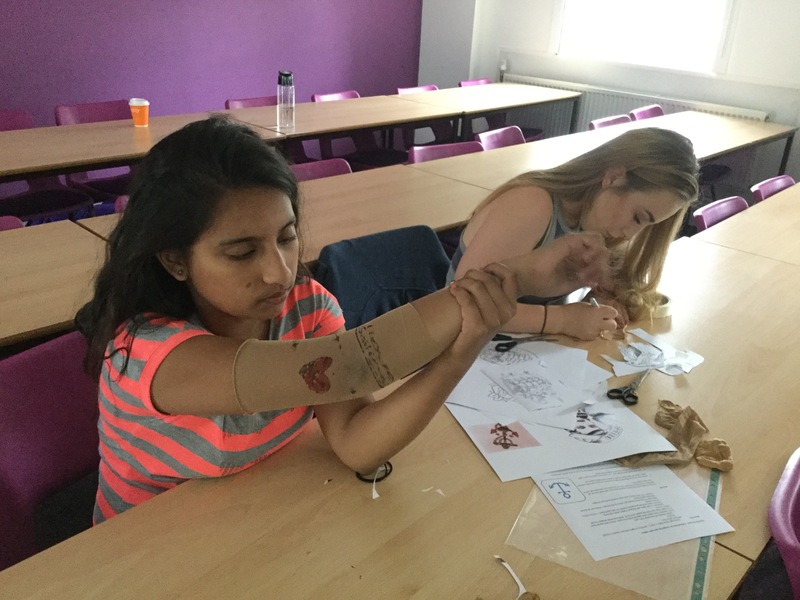 Next there was an opportunity to learn about the symbolism of sailors’ tattoos, and get inspired to create their own – on a pair of flesh-coloured tights of course! Due to the proximity of the workshop at the University, the students were able to then take a walking tour of the remnants of Portsea’s sailortown to their next destination, HMS Warrior. 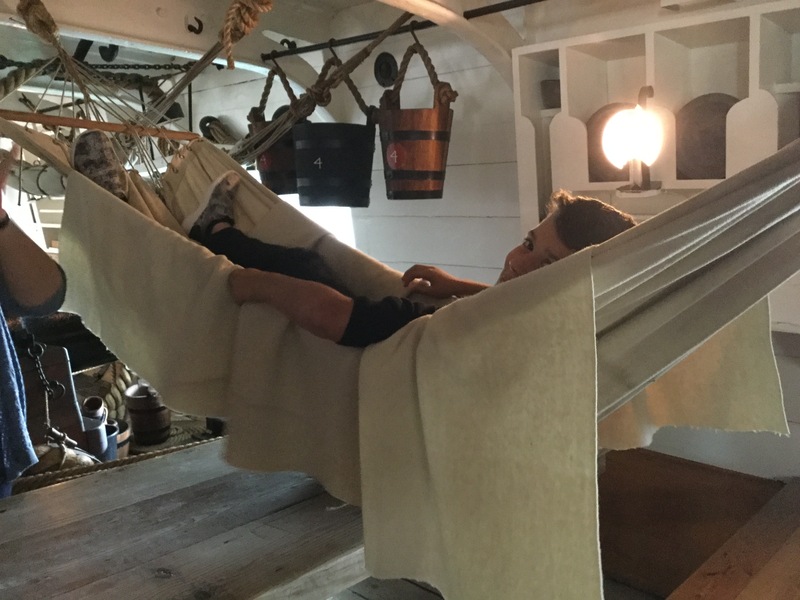 When safely aboard Warrior, the group was able to learn about life on ship, and even got to try out a hammock. 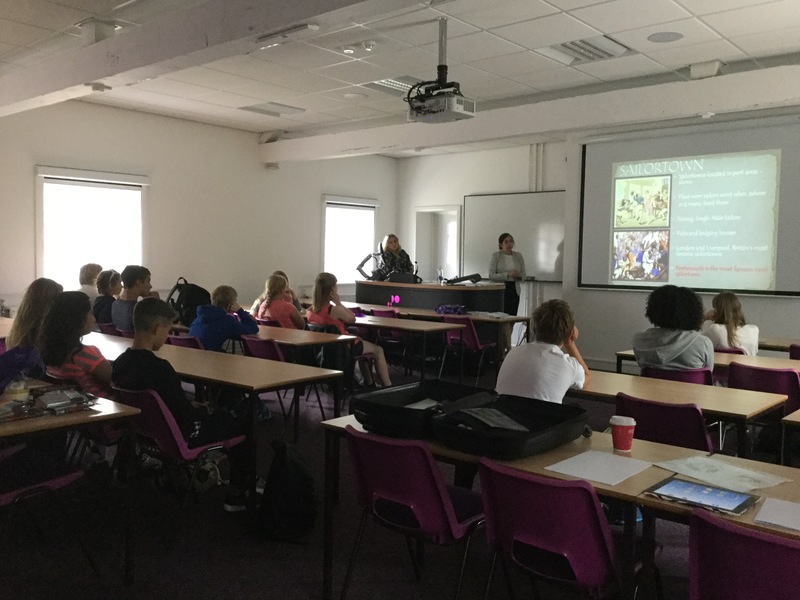 The response from the day was excellent, with many of the participants being inspired to look forward to studying history at university. They also came to realise the value of a history degree to their overall job prospects. We look forward to running a similar event soon. 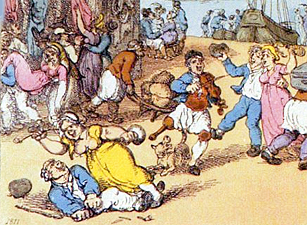 Jackspeak slang – a ‘Dockyard Tortoise’ is a Cornish Pasty, and a ‘Crocadillapig’ is a scary exotic-looking animal.